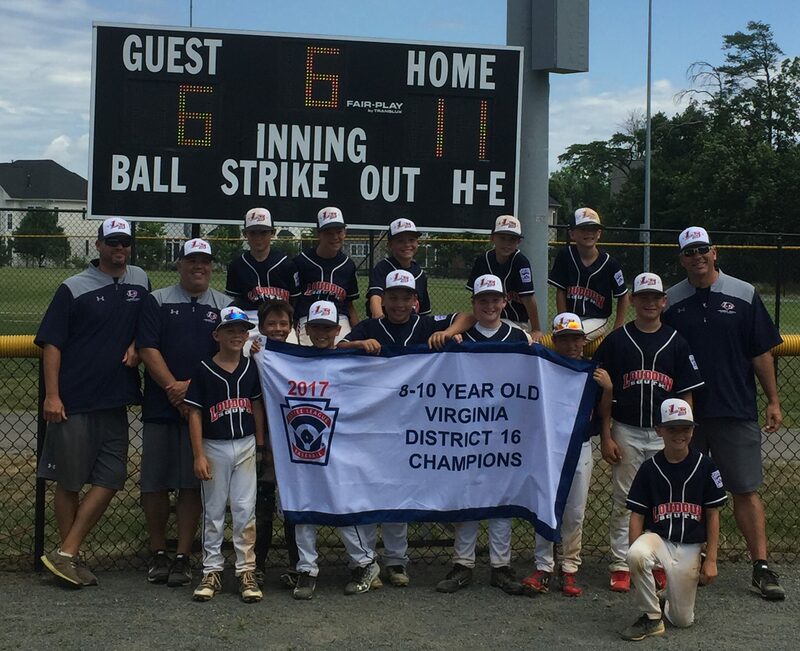 Loudoun South Little League National, 2017 Virginia District 16 8-10 Year-Old Baseball Champions! Congratulations to Loudoun South Little League National, your Virginia District 16 8-10 Year-Old Baseball Champions! LSLLN will represent our district at the Virginia State 8-10 Year-Old Baseball Tournament in Bridgewater starting July 7. 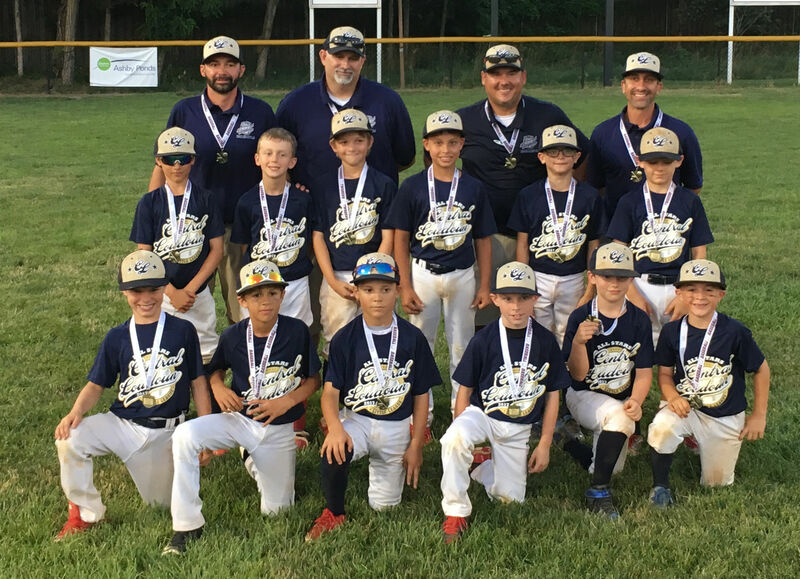 Greater Fauquier Baseball Little League, 2017 Virginia District 16 Senior League Baseball Champions! 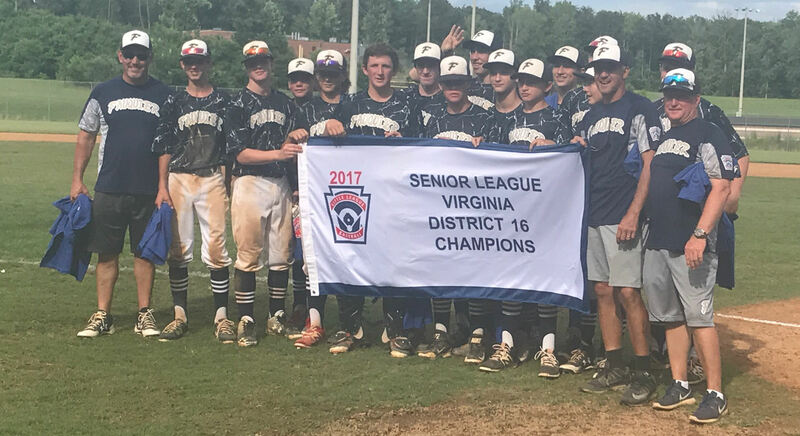 Congratulations to Greater Fauquier Baseball Little League, your Virginia District 16 Senior League Baseball Champions! GFBLL will represent our district at the Virginia State Senior League Baseball Tournament in Pound starting July 7. The District has documentation from the following manufacturers that decals on their helmets are permitted. Each manufacturer has significant restrictions that must be followed to use decals on the helmet so as not to void the warranty. In particular, stickers cannot be larger than 20% of the helmet surface area in most cases and cannot cover the NOCSAE or other stamps. Please read the respective letter for details. District 16 is in possession of these letters, which are considered “approval in writing by the helmet manufacturer” for purposes of rule 1.16. Other manufacturer helmets, including those manufactured by parent, sibling, or child companies of these companies, are not covered by this approval. Individual players are not required to carry a copy of the letter with them at District 16 Tournament games. Players that advance beyond District 16 play should print out and carry a hard copy with them. Little League’s web site has a page of tournament resources for managers and leagues preparing for the International Tournament. You can read rules changes, tournament FAQs, affidavits and other forms, etc. District 16 has put together some of our own information that we review with the scorekeepers and managers at the managers meeting. Those resources are focused on our District Tournaments, so they are baseball-oriented and primarily for Juniors and below. Tentative District Tournament schedules have been posted. Not all times and locations are finalized, but the dates should be pretty close to final. Keep in mind that they may change before and during each of the tournaments. Also, all days with and without scheduled games, including Sundays and July 4, may be used for completing postponed or suspended games. Times, locations, and schedules may be adjusted due to weather or other issues. Please plan accordingly.